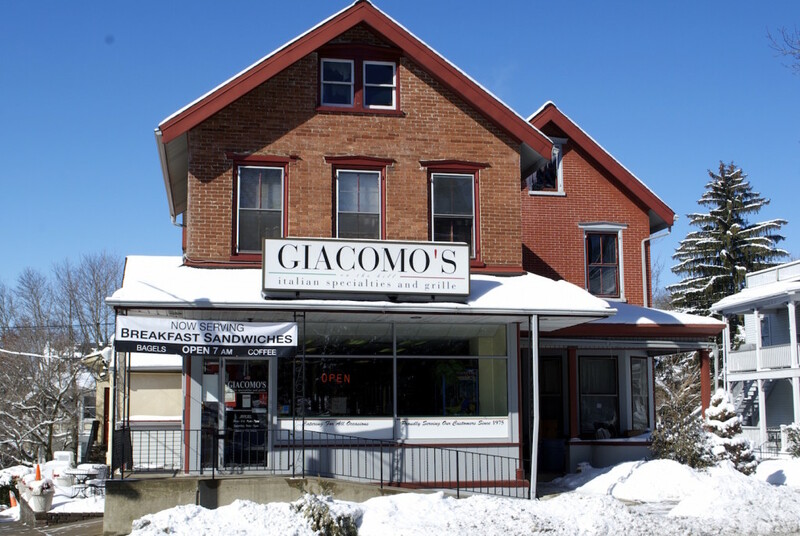 The moment we’ve all been waiting for is here: Giacomo’s is now offering a full breakfast menu. At Lafayette, you either know Giacomo’s and swear by their perfectly crafted sandwiches, or you’ve never been there. If you’ve never been, it’s time to change that. Here’s why. Giacomo’s is a classic Italian deli and market that has always been a reliable destination for Laf students to pick up lunch or dinner. The staff is one of the friendliest on College Hill, and I have yet to have a negative experience at this place. They’re famous for their cheesesteaks, and if you order any sandwich with prosciutto on it, you won’t be let down. The Godfather–prosciutto, fresh mozzarella, roasted red peppers and balsamic–is always a good bet. But now, Giacomo’s has expanded their menu and hours to include breakfast, and we couldn’t be happier. 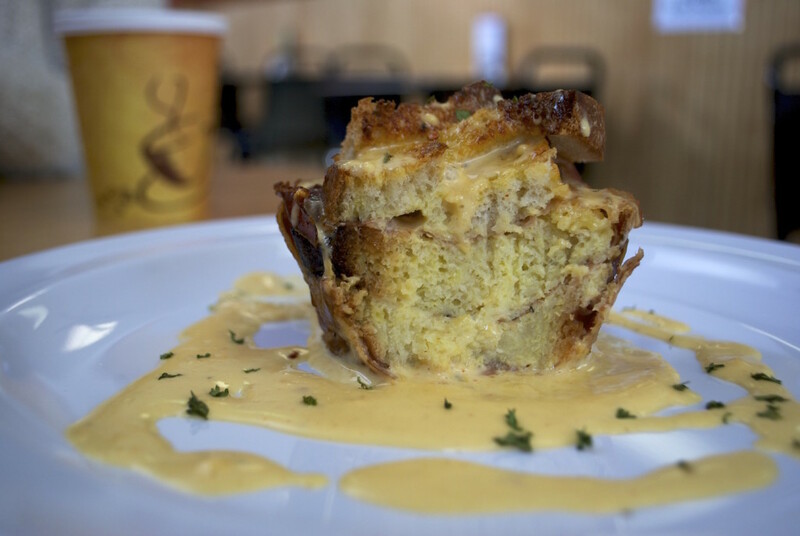 Sure, the Easton area is hardly lacking in breakfast locations, with Cosmic Cup, Mojo Hill, Quadrant, V&G’s Place and more all close by Lafayette’s campus. But Giacomo’s brings something different to the table. Their menu includes breakfast sandwiches, available on a bagel, roll or wrap, but in addition to the usual bacon, pork roll or sausage, they feature meats like pancetta, prosciutto, steak, and crispy chicken. The “signature” items on the breakfast menu are where Giacomo’s really sets themselves apart from their competitors, while staying true to their Italian style. They’ve got a variety of signature items, from a flatbread pizza with sausage, broccoli rabe, egg whites and provolone, to a southern chicken sandwich with fried chicken, provolone, and sausage gravy. The baked eggs benedict is made with prosciutto and a chipotle hollandaise that I would eat with a spoon if it was socially acceptable. There’s also a Greek yogurt parfait if you want to keep it on the lighter side, but by the time you read the rest of the menu, you’d be certifiably insane to pass up any of the other options. If you’re worried you won’t be able to drag yourself out of bed to eat breakfast at a normal time, don’t worry. 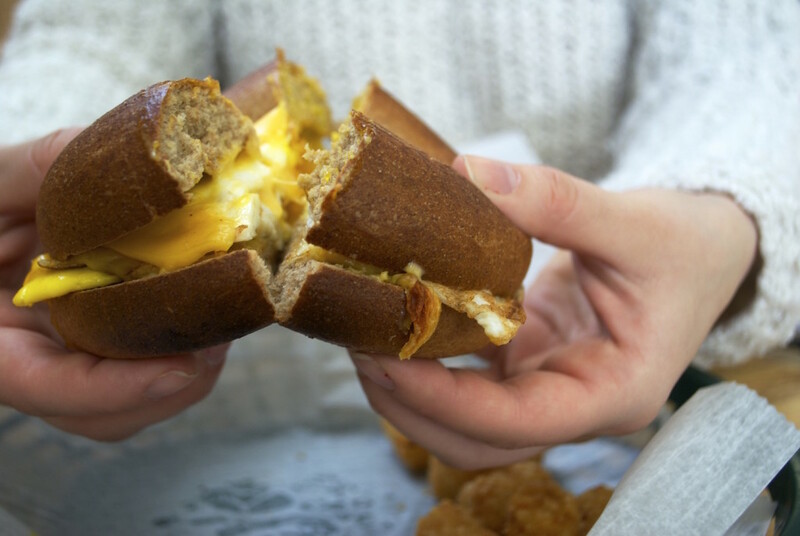 The breakfast menu is available all day. These guys know they’re dealing with lazy college kids. Seriously, put down your granola bars and step away from your microwaved eggs. Giacomo’s breakfast is unique, satisfying AND within your stingy college student budget. If you didn’t know, now you know.